The refugee camps in Thailand are home to many painful memories – of houses and crops burned to the ground, of forced labor at the barrel of a gun, of lives disappeared during sudden raids and violent attacks. For decades, camps like Mae La, on the border of Thailand and Myanmar (formerly Burma), were occupied largely by Karen refugees driven from their villages by the Burmese army in what is considered to be the longest-running civil war in the world. In recent years, the camps’ residents have found safety and stability. Mae La, home to some 50,000 refugees, has even become a hub for education, attracting thousands of primary and secondary students from the surrounding region. What the residents lack, however, are jobs, access to higher education, and opportunities for economic advancement. Feeling trapped, many have risked their lives and little resources in search of second chances abroad. Paw was one of those brave individuals. Paw had no idea what awaited him when he left his camp in Thailand. Risking everything, he eventually made his way to Minnesota. With limited English, Paw, like so many other refugees before and after him, struggled to find a decent-paying job to cover his expenses. The despondency and fear he felt at the camp started to creep back in. Only this time, he had options. 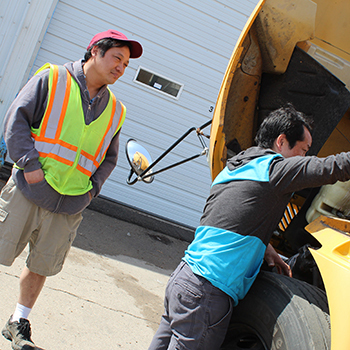 Paw learned about the Custom Jobs Training (CJT) program at the Hmong American Partnership (HAP) and enrolled in a Commercial Driver’s License (CDL) class. He quickly passed his exam for a permit, but when it came time to start driving classes during the next stage of training, he had trouble communicating with the instructors. Thankfully, it was nothing more than “a bump in the road.” HAP’s instructors, who were culturally aware of his circumstances, patiently worked with Paw using hand gestures and pictures to teach him driving and inspection protocols. The method worked, and he eventually passed the driving test and landed a full-time driving position with benefits. His earnings have increased significantly since then, and he says he no longer worries about paying his bills. HAP’s Custom Jobs Training (CJT) program was designed to help individuals who struggle to find gainful employment because they lack a high school diploma; have physical disabilities, language barriers or criminal backgrounds; or lack stable housing. Between 2015 and 2017, HAP received more than 3,000 inquiries for job training and employment in many different fields. HAP offers four job training tracks: Transportation, Manufacturing, Technology, and Health. 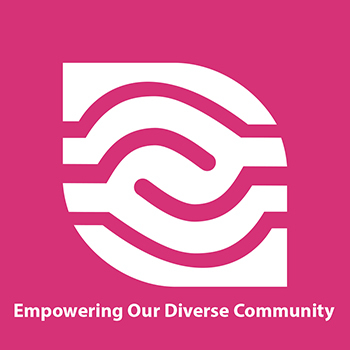 Courses are culturally sensitive and are designed to help individuals with limited English skills. Transportation, the largest of the four tracks, offers CDL Training and gives students the opportunity to earn their Class B CDL with school bus, passenger vehicle, and air brake endorsements. Like Paw, students must first pass a permit class before taking “Behind the Wheel” driver training. Upon completion, they can take the full exam for a CDL license. “Trainees not only receive a tailored education to help them get their license,” said Jennifer Thompson, HAP’s Director of Transportation, “they are also offered a direct pathway to a well-paying position with HAP Transportation, where they continue to receive wraparound services as needed.” And, with the current shortage of drivers in the Twin Cities, there’s never been a better time to get trained and licensed, Thompson added. Drivers are currently earning up to $21 an hour with a hiring bonus and benefits. HAP’s Manufacturing training track teaches soldering, a skill that is highly valued and utilized in electronics, plumbing, and metalwork. 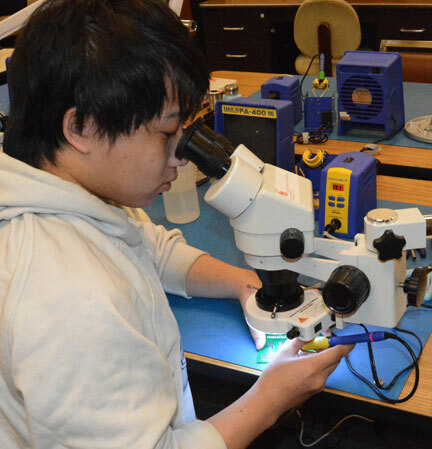 Students start by taking a three-week class, where they learn the basics of manufacturing and soldering, take tours of employer sites, learn about community resources, and visit Century College’s “Fab Lab” to see work in progress. Students then receive hands-on training with HAP’s partner, TSC Connect, to acquire IPC certification that can be used anywhere in the world. Wendy Shervey, HAP’s Career Pathways Instructor with the CJT program, explained that classes are limited to 12-15 students, in accordance with IPC standards, but there are currently several spots available. Solderers with level 1 certification can easily make $15 an hour and much more when they are certified at levels 2 and 3. Wendy noted that KeyTronicEMS, an international electronics manufacturer with a facility in Oakdale, Minnesota, has hired several HAP-trained graduates in recent years. HAP’s other training tracks, Technology and Health, have broad appeal for many job seekers. Students in the Technology track study computer architecture, troubleshooting, and repair with our partner school, American Indian OIC (AIOIC). Participants earn three credits toward a 45-credit Computer Support Specialist degree and A+ certification, giving them the potential to make up to $25 an hour. For Health, HAP partners with local community colleges and providers to train students who are interested in becoming a Certified Nursing Assistant (CNA), a Certified Personal Care Assistant (CPCA), or a Trained Medication Aide (TMA). Participants first learn the basics of nursing and patient care to attain certification as a CNA or CPCA and then have the chance to pursue TMA certification, which can increase earning potential to more than $25 an hour. Graduates have very promising odds of finding jobs, too, since these career fields all have a very high projected growth rate. 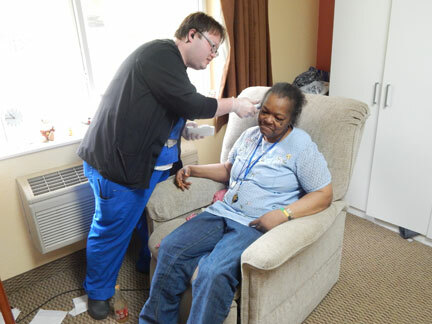 Demand for Certified Personal Care Aides is expected to grow by nearly 26 percent over the next decade, according to the Minnesota Department of Employment and Economic Development. Regardless of their chosen training track, participants are further supported by HAP’s team of career counselors and employment specialists, including HAP’s partner staffing agency, One Community Staffing. Like Paw, students complete the program with much more than training and certification – they gain access to better-paying jobs and, for many, a long-awaited second chance in life.